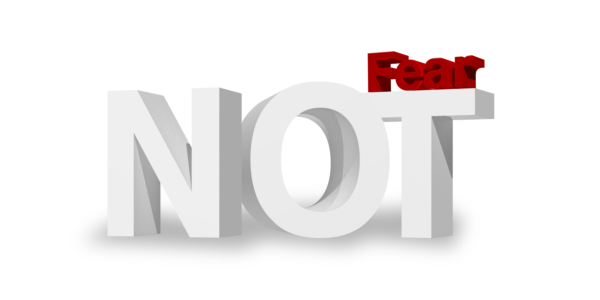 Fear is one of the most common tools the enemy uses against us. Fear can be a paralyzing force, and if yielded to, can derail a life, a family, or an entire nation. Many people my wife and I have talked with are afraid to move forward with something they know is right, like getting out of debt or changing the direction for their family in other ways. Why is that? Where does fear come from, and how can it be overcome? Fear is a basic, instinctive mechanism for survival. The companion to fear is panic. Panic is often explosive, and may be manifested by outworking of fear, and drives Fear comes from not knowing the truth. Ancient cultures were afraid of both solar and lunar eclipses. Not knowing the truth can place us into fear, so how should fear be dealt with? For the Christian, it is imperative that a daily investment be made in reading God’s Word. By doing so, we understand what God says about a matter. As we study things out, we see the truth of His Word. This truth, by the way, is consistent from Genesis to Revelation. Once we get God’s opinion on a matter, the thing is settled. It is God’s opinion about something that counts. I often drive early in the morning on quiet country roads. Many times animals from the size of rabbits to full size deer will hear a car coming and dart out in front of the vehicle. Needless to say, this does the animal (and the vehicle) no good at all! The instinctive fear of these animals actually causes them to run right into the hazard…. to their peril. Unlike animals, humans have been given the power to reason and make informed decisions. It is up to us to prepare ourselves and our families for what may lie ahead. Making a hasty (fearful) decision is not the right answer. Fear and doubt is the opposite of faith. Please think about that. When I was growing up, I would continually ask my dad about things. I kept saying “what if this, and what if that”. Finally, my dad told me to knock it off with the “what if’s”. My questions were really telling my dad that I did not understand how things worked. I was unsure of the truth, so my mind was playing a game of chess. Children need to know that the Heavenly Father has provided everything for His children. Parents, we need to know the same thing. If the children see us fretting and unsure, they will pick up on that insecurity and do the same thing. We all need to be assured that the Lord God loves us, and had provided everything we need. We need to provide a confident stability for our children. There should never be a time where the children see you “fall apart”. Many people did not have a loving mother and father here on Earth. The lack of security and stability in our lives growing up forced us to do things to try and compensate. The real problem with this lack of love in the home is that it is very difficult to see how there could be a loving Heavenly Father. We tend to overlay our understanding of the Heavenly Father with our own personal experiences in the home. In this regard, the enemy has done a marvelous job. He has been attacking the family since the very beginning. His focus was, and still is, on the destruction of the seed. The lack of stability in people’s lives causes them to question everything. On the outside, they seem to be stable, but underneath are very insecure and shaky. Many push through this and have a mental understanding of the love of the Lord, but cannot lay hold of it so they “know that they know” they are loved by God. When the Lord speaks to His people, He always brings peace as part of the conversation. Peace is not necessarily a lack of war as some want to believe. Godly peace is that stillness in the heart that only comes from knowing the Lord though an intimate relationship with Him. The Lord will often cause you to know things ahead of time to prepare you for what is to come. Many years ago, I went a few minutes early to a meeting and the Lord spoke to my heart. He said “there is going to be a blowup, but be at peace”. Ten minutes later, there was a verbal fight between several men in the meeting. Tempers were hot, and one of them stood up and left the room. Those who were left squabbled among themselves. It was an atmosphere that no one wants to be in. It was not a pleasant situation, but the Lord had prepared me ahead of time so I would not react. His ways are the ways of peace. Having a relationship with the Lord is not optional. In fact, it may save your life some day. I used to be very afraid of lightning. In fact, the Lord actually used this fear of mine to draw me to Him and be born again! One evening, a thunderstorm seemed to camp right over our house. For over thirty minutes, lightning was continually either hitting our home, or right next to it. I gathered my children and went back to their bedroom. As each bolt hit, I could hear the snapping of the electricity as it was arcing in the room we were in. The thunder shook the house like cannons were going off. I got my Bible and began to calmly read Psalm 91 out loud. As I read, peace came to my heart despite what was going on around me. Within minutes, the storm dissipated as quickly as it formed. Some storms are supernatural, and I believe this was one of them. Is Fear a Good Thing? Unscrupulous men use fear to control people. This is a favorite ploy of many politicians and those in leadership positions. Every time an election comes up, they sow the seed of fear in people. If so and so gets elected, the social security benefits will be cut. What happens? Those who rely on social security rise up in arms. That’s fear. That is manipulation. That is ungodly and evil! Government was designed by the Lord for the benefit of people. Replacing fear with truth requires each of us take responsibility for our lives. Study the Word of God to get what God says about a matter. As a question comes up about something, do your homework. Learn all you can. Read, listen, pray. Kingdom Life Institute, the training arm of Faith Outreach Center International, is dedicated to teaching the truth of Scripture. Our Track I “Mastering the Basics” is designed to help the believer lay a strong foundation for life. Classes run from September through June. Click here to learn more. We also have a Video School available for those who wish to take online classes. Check it out, and get equipped! Good post! I’ve realized that fear often times disguises itself in other ways and justifies itself in misplaced biblical truths. Responsibility and accountability are key to overcome those sugar coated fear factors.